This drink is a sweet cocktail made with rum, coconut cream or coconut milk, and pineapple juice, usually served either blended or shaken with ice. I know it’s getting freezing cold outside and I probably should be thinking a bit more of winter comfort dishes like stews, sticky toffee puddings and likewise and maybe giving you a Christmas recipe, but this dessert just cheers people up, and as much as I love the local ingredients, I’m going completely against what I preach here and using nothing made or farmed locally and going all exotic. The earliest known story states that in the 19th century, Puerto Rican pirate Roberto Cofresí gave his crew a beverage that contained coconut, pineapple and white rum to boost their morale. 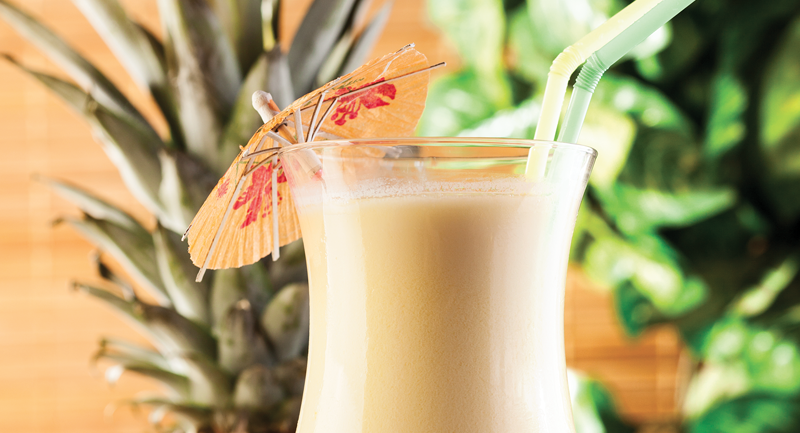 When he died in 1825, the recipe for the piña colada was lost, but this drink was what would be later known as the piña colada.